Residents objecting to the new Sainsbury’s development have expressed their frustration after local councillors failed to take part in an open forum with Sainsbury’s planners. The meeting at the Old Town Hall on July 5 was organised by Newtown Residents Association as part of their AGM. Usually a couple of Eastleigh councillors are on hand to listen to residents and answers questions however about 30 residents along with members of Eastleigh’s Safer Neighbourhoods team, the local area co-ordinator and representatives of Sainsbury’s heard chair Cecile Snell explain that no councillors were available due to ‘an emergency council meeting’. The following day Eastleigh News was told by an Eastleigh Borough Council spokesman that there had been no emergency council meeting. Councillor Chris Thomas – chair of Eastleigh Local Area Committee – described the lack of available councillors as ‘unfortunate’ and told Eastleigh News that the meeting had been a private meeting of councillors with no agenda or minutes and that he was unable to say what the meeting had been about. Despite the lack of elected members (who will be shortly voting on the planning application) the meeting was nevertheless lively. A short presentation by the Sainsbury’s team into the background for the application and a review of the claimed potential benefits for the town was followed by a question and answer session with residents who were anxious to discuss their concerns. The Sainsbury’s team explained that recent retail studies commissioned by the council had suggested that the best way to halt the decline in shoppers visiting the town centre would be to develop a strong anchor store and that the Leigh Rd recreation ground was the only space left in the town centre on which to build. Threat to the viability of the existing businesses in the Town centre. Increased Traffic congestion and pollution. Air Quality. Do you remember when that concrete ball used to be grey? One resident described the recently completed Sainsbury’s superstore in Portswood as looking like “a mine shed” or a temporary structure but the representatives said the store was being built to last and was of a different design to the Portswood store. 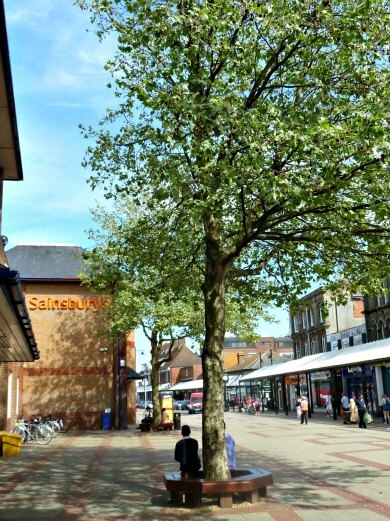 Sainsbury’s claim that they will increase footfall in the town was queried by a local who claimed the supermarket giant had been leafleting residents with a £10 off voucher encouraging shoppers to stay at home and shop online. In response Sainsbury’s team said that home deliveries were only a small part of its business. 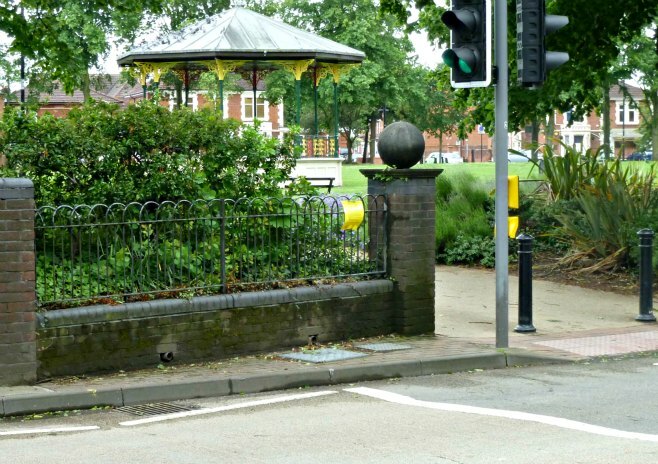 Sainsbury’s said that they would give a substantial sum to the council to spend on park improvements but whether this money would be ring fenced and what specific use it would be put to was unclear and would be a matter for the council to decide. The head of the Sainsbury’s team insisted that, despite the clear opposition of the audience, 90% of Eastleigh’s residents are happy with the proposals – a statement which was met with disbelief – and that Sainsbury’s had no intention of changing or downsizing their plans. Concerns like opening hours and night time deliveries were subject to negotiations with the council they said – although they saw no reason why any restrictions or conditions should placed on them. Are you concerned about the Sainsbury’s development proposals? or you can lobby the Local Area Committee Councillors below who will be voting on Sainsbury’s proposals in September. They will be very keen to share their views! and don’t miss Councillor votes against own motion which has the classic “I have a bit of an amendment” quote from Cllr House! “…a private meeting of councillors with no agenda or minutes…”…..? No. In North Korea they have ‘secret meetings’. There are no ‘secret’ meetings in Eastleigh, only ‘private’ ones! Well it would have been secret if you hadn’t got wind of it and enquired. Where was this private meeting publicised…? I don’t think it was a lodge night. Surely they are not meeting up to decide which way they are going to vote on planning applications because they are supposed to keep an open mind and decide after all the evidence has been presented. Planning meetings are supposed to be ‘quasi judicial’ you know! There were no opposition members present so they weren’t all needed for a vote. So if wasn’t something important like a planning,council or a lodge meeting…what was it? But I would hate to think they rated a political or a social meeting as more important then representing residents. Do we know how many Borough Councillors, the people who are currently deciding where 1000’s of new homes will be built, are members of the secret-handshake brigade…? Or is that a secret too…? My comment is slightly tongue in cheek Ray. As far as I know Cllr Trenchard is the only member who has declared he is a Freemason in his register of interests – good on him for that. Five Hampshire County Councillors (four conservative and one Lib Dem) have declared they are Freemasons in the HCC register. I think it would be naif to imagine they are the only ones. There is no legal obligation on members to make such a declaration but I hope any other masons will follow Cllr Trenchard’s commendable lead. As a voter this is something I would like to know, I’m sure other voters would too. This is 2012, not 1953. I’d quite like to know too. Even if they don’t want to come completely out of the closet, I don’t see why EBC can’t publish a simple head-count of the number of Councillors who are also Freemasons. I thought it was a requirement of all Councillors on election to declare all membership of clubs/groups/societies etc. This is to avoid a conflict of interest. At least one member of Hedge End Town Council is a fully fledged Mason – there must be others. This is not healthy. This planning application has already been decided by the Fib Dems. It is going to be green lighted and rubber stamped when it comes before the ELAC planning meeting. The fact that the Council will not release any details of meetings they have had with Sainsbury’s just goes to show that this has been an under the table deal, despite my best efforts to get to the truth with Freedom of Information Requests that have been refused and refused again on appeal. I am now making a request for the same information from the Data Commissioner as there is clearly wrong doing going on here. I agree that judging by the tone of recent Focus leaflets extolling the virtues of Sainsbury’s and also by the way they are keen to avoid entering into any dialogue with objectors, Councillors are minded to approve plans even though the planning department has yet to make a recommendation. I too feel its wrong, clearly wrong that we can’t see details of their business meetings but it’s not illegal as such matters can be deemed to involve disclosure of ‘sensitive’ commercial information and would be exempt from publication. and Are There To Represent its Views. organisations, campaigning on local issuse and developing links with all parts of the community. I thought it was a requirement of all Councillors on election to declare allmembership of clubs/groups/societies etc.This isto avoid a conflict of interest. I believe there is no statutory requirement to do so – it’s up to them. Only one Cllr feels comfortable with disclosing masonic links. You could argue that the freemasons are an outside body that seeks to “influence public opinion or policy” (Didn’t they assassinate Diana on Prince Phillip’s orders? )but in any case standards have just been changed so only items relating to pecuniary interests need to be registered (including those of a spouse). Members can still still declare any potential prejudicial interests if they crop up during meetings. Why would they come? Especially since it’s probably already a done deal. any ‘consultations’ now will just be window dressing. I’m confused as to how you can ‘improve’ the rec by ripping up trees and building on it. No amount of money can make up for the loss of green space, you can’t improve on mother nature. Once it’s gone, it’s gone for all future generations. Might I suggest to the council that they now preserve what will be left of the rec by applying for it to be protected under the QE2 fields scheme? Having seen one large chunk eaten away by the Point and now another large chunk disappearing at the other end for the benefit of Sainsburys, I don’t feel the rec is valued enough by those in power. The rec should be put into trust with FIT. It’s not just this administration that has been developing it – remember the car park that was built it on it? Over the years there have been tennis courts, bowling greens.. It has to be protected from politicians of any hue using it as a disposable asset. They cannot be trusted with the stewardship of our green open spaces.